The angular and impressive princess-cut diamond is a favourite choice for those who want a modern, geometric shape with strong lines. The princess-cut diamond is often labeled as a square or rectangular modified brilliant cut by the GIA. First created in the 1960s, a princess cut diamond engagement ring is a coveted choice. With its clean lines and angles, it’s clear to see why the princess cut diamond continues to increase in popularity. Appearing square in shape, with four sides of roughly equal length, the princess diamond is a modern, elegant choice. 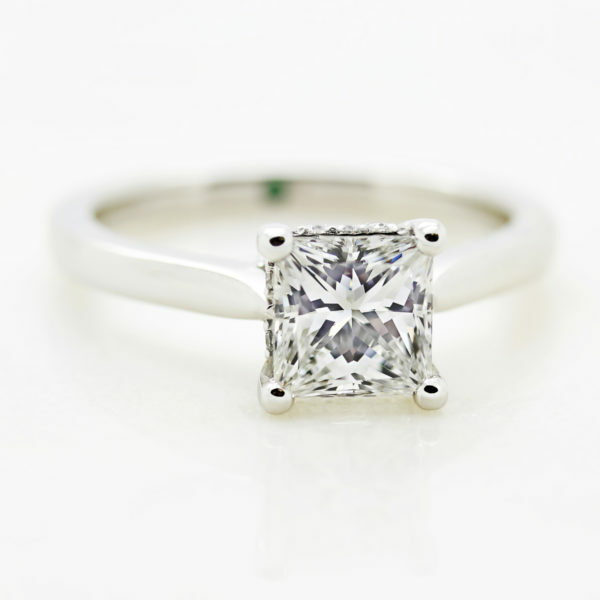 Why should I choose a princess cut diamond? While it’s a relatively new shape, first created in the 1960s, it’s now the fourth most coveted choice after the round, oval and cushion cut. 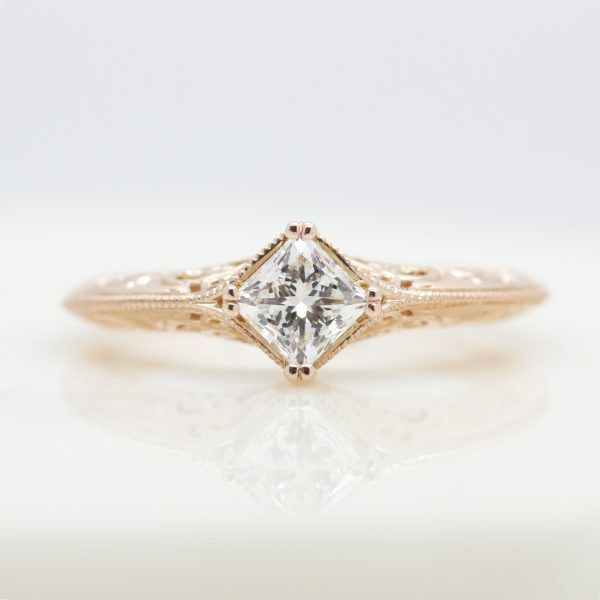 The princess cut continues to increase in popularity, and we can see why. Its clean lines and angles make it a modern, elegant option. 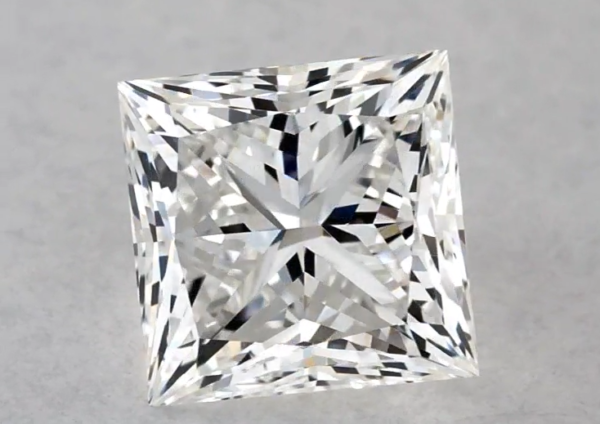 Unlike the flashes of light seen in emerald or Asscher cuts, the princess cut diamond has impressive fire and brilliance, similar to a round or cushion cut, maximising sparkle. Its extra facets allow more light to be dispersed throughout the stone which also serves to minimise the appearance of clarity characteristics/inclusions. Despite their square appearance, many princess cut diamonds aren’t exactly square and possess a slightly rectangular shape, often not visible to the naked eye. There is no right or wrong with the dimensions of a princess cut diamond–it’s all about personal preference. Any length to width ratio between 1.00 to 1.05 will appear square to the naked eye. The cutting of a princess cut diamond produces the least amount of waste during the polishing process. This means they provide excellent value. 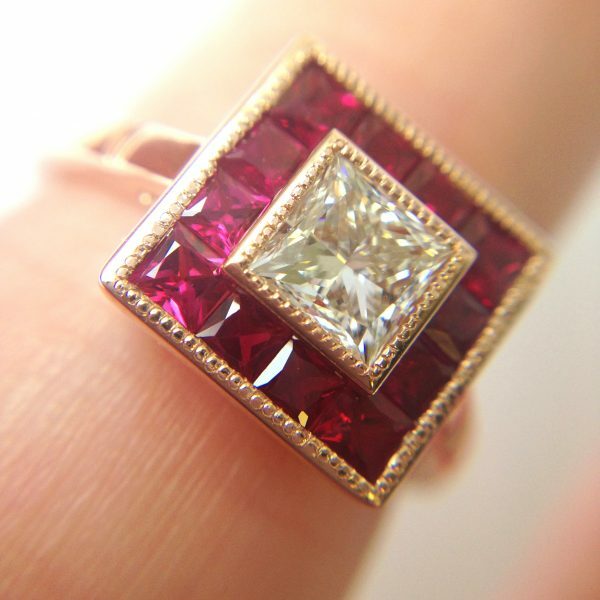 Like the round shape, it is brilliant cut and has the most sparkle amongst the geometric shapes. What is the best cut for a princess diamond? While princess cut diamonds don’t have an official cut grade, the chart below serves as a general guideline for evaluating the cut of a princess diamond. A rule to follow when choosing a princess cut diamond is to avoid those with a table percentage that is greater than the depth percentage. Evaluating colour in princess cut diamonds is entirely dependent on the preference of its buyer or wearer. Customers sometimes prefer the warmer tones of colour grades G-H to the icy cool tones of colour grades D-F. In fact, if you’re choosing a rose gold or yellow gold setting, choosing a diamond with a colour range G-J is great value for money. 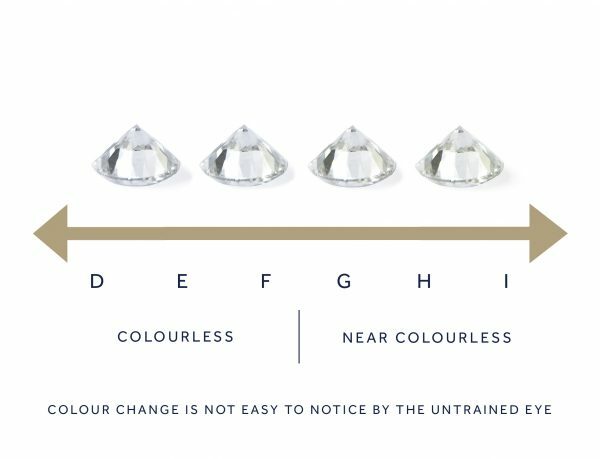 This colour range offers a balance between value and diamond quality because the warm tones from the metal will mask any minimal colour present in the diamond. The truth is, the difference between colourless and near colourless grade ranges is difficult to perceive, especially to the naked eye. Diamond clarity is dependent on personal preference. Some people may be entirely comfortable with a diamond that features clarity characteristics (also known as inclusions) that aren’t visible to the naked eye. Others may insist on a technically flawless appearance for absolute perfection.